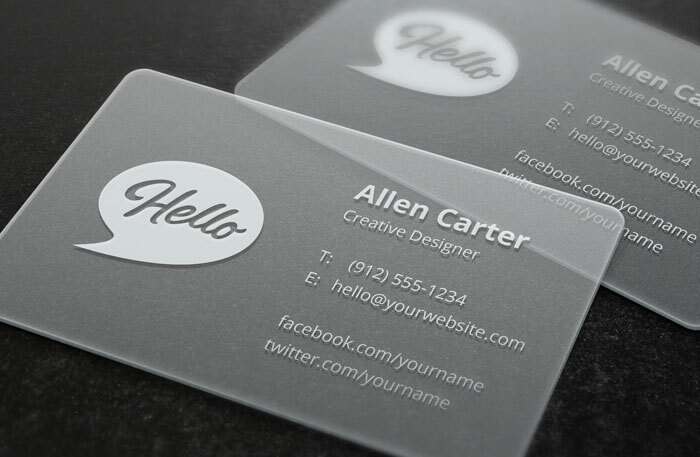 These frosted clear cards make people notice. These cards are printed on 0.38mm thick frosted clear plastic. Full colour 1 side with or without a white block out behind the colour to make the colour opaque or transparent. These cards include round corners. Allow up to 7-10 working days + delivery time.